1. Hemingway C, Freeman JM, Pillas DJ, Pyzik PL. The ketogenic diet: a 3 to 6 year follow-up of 150 children enrolled prospectively. Pediatrics 2001;108:898-905. 2. Freeman JM, Vining EPG, Pillas DJ, Pyzik PL, Casey JC, Kelly MT. The efficacy of the ketogenic diet—1998: a prospective evaluation of intervention in 150 children. Pediatrics 1998;102:1358-1363. 3. Vining EPG, Freeman JM, Ballaban-Gil K, et al. A multicenter study of the efficacy of the ketogenic diet. Arch Neurol 1998;55:1433-1437. 4. Gilbert DL, Pyzik PL, Vining EP, Freeman JM. Medication cost reduction in children on the ketogenic diet: data from a prospective study. J Child Neurol 1999;14:469-471. 5. Wheless JW. 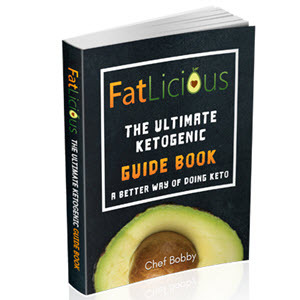 The ketogenic diet: an effective medical therapy with side effects. J Child Neurol 2001;16:633-635. 6. Hemingway C, Pyzik PL, Freeman JM. Changing physician attitudes toward the ketogenic diet: a parent-centered approach to physician education about a medication alternative. Epilepsy Behav 2001;2:574-578. 7. Kossoff EH, Pyzik PL, McGrogan JR, Vining EPG, Freeman JM. Efficacy of the ketogenic diet for infantile spasms. Pediatrics 2002;109:780-783. 8. Mady MA, Kossoff EH, McGregor AL, Wheless JW. The ketogenic diet: adolescents can do it, too. Epilepsia 2003;44:847-851. 9. Sirven JI, Liporace JD, O'Dwyer JL, et. al. A prospective trial of the ketogenic diet as add-on therapy in adults: preliminary results (abstr). Epilepsia 1998;39:195. 10. La Vega-Talbott M, Solomon GE, Mast J, Green NS, Hosain SA. Ketogenic diet in pediatric epilepsy patients with gastrostomy feeding (abst). Ann Neurol 2001;50(3 Suppl 1):S102. 11. Nordli DR, Jr., Kuroda MM, Carroll J, et al. Experience with the ketogenic diet in infants. Pediatrics 2001;108:129-133. 12. Vining EPG, Pyzik P, McGrogan J, et al. Growth of children on the ketogenic diet. Dev Med Child Neurol 2002;44:796-802. 13. Shinnar S, Berg AT, O'Dell C, Newstein D, Moshe SL, Hauser WA. Predictors of multiple seizures in a cohort of children prospectively followed from the time of their first unprovoked seizure. Ann Neurol 2000;48:140-147. 14. Abrahams J. An Introduction to the Ketogenic Diet: A Treatment for Pediatric Epilepsy. The Charlie Foundation, Santa Monica, CA (videotape), 1994. 15. Freeman JM, Kelly MT, Freeman JB. The Epilepsy Diet Treatment, 2nd ed. Demos, New York, 1996. 16. Ballaban-Gil K, Callahan C, O'Dell C, Pappo M, Moshe S, Shinnar S. Complications of the ketogenic diet. Epilepsia 1998;39:744-748. 17. Best TH, Franz DN, Gilbert DL, Nelson DP, Epstein MR. Cardiac complications in pediatric patients on the ketogenic diet. Neurology 2000;54:2328-2330. 18. Berry-Kravis E, Booth G, Taylor A, Valentino LA. Bruising and the ketogenic diet: evidence for diet-induced changes in platelet function. Ann Neurol 2001;49:98-103. 19. Stewart WA, Gordon K, Camfield P. Acute pancreatitis causing death in a child on the ketogenic diet. J Child Neurol 2001;16:682. 20. Hahn TJ, Halstead LR, DeVivo DC. Disordered mineral metabolism produced by ketogenic diet therapy. Calcif Tissue Int 1979;28:17-22. 21. Wirrell EC, Darwish HZ, Williams-Dyjur C, Blackman M, Lange V. Is a fast necessary when initiating the ketogenic diet? J Child Neurol 2002;17:179-182. 22. Pan JW, Rothman TL, Behar KL, Stein DT, Hetherington HP. Human brain beta-hydroxybutyrate and lactate increase in fasting-induced ketosis. J Cereb Blood Flow Metab 2000;20:1502-1507. 23. Freeman JM, Vining EPG. Seizures decrease rapidly after fasting: preliminary studies of the ketogenic diet. Arch Pediatr Adolesc Med 1999;153:946-949. 24. Kossoff EH, Pyzik PL, Furth SL, Hladky HD, Freeman JM, Vining EPG. Kidney stones, carbonic anhydrase inhibitors, and the ketogenic diet. Epilepsia 2002;43:1168-1171. 25. Takeoka M, Riviello JJ, Pfeifer H, Thiele EA. Concomitant treatment with topiramate and ketogenic diet in pediatric epilepsy. Epilepsia 2002;43:1072-1075. 26. Berry-Kravis E, Booth G, Sanchez AC, Woodbury-Kolb J. Carnitine levels and the ketogenic diet. Epilepsia 2001;42:1445-1451. 27. Furth SL, Casey JC, Pyzik PL, et al. Risk factors for urolithiasis in children on the ketogenic diet. Pediatr Nephrol 2000;15:125-128. 28. Valenica I, Pfeifer H, Thiele EA. General anesthesia and the ketogenic diet: clinical experience in nine patients. Epilepsia 2002;43:525-529.